Local MP for Denton and Reddish, Andrew Gwynne, has raised his concerns as figures released from the Office for National Statistics (ONS) have revealed slower than expected growth for the UK economy. Officially, the UK economy grew by just 0.3% in the second quarter of 2017, making it the slowest-growing advanced economy in the world. This follows weaker than expected growth from the first quarter of 2017, which stood at 0.2%. At the start of the week the globally respected International Monetary Fund (IMF) slashed its growth forecast for the UK in 2017, down from 2% to 1.7%. Added to this, analysis by professional services company PricewaterhouseCoopers (PwC) showed that they had also trimmed their forecast for economic expansion, anticipating growth of just 1.5% in 2017 and 1.4 per cent in 2018, down from original estimates of 1.8% growth, last year. 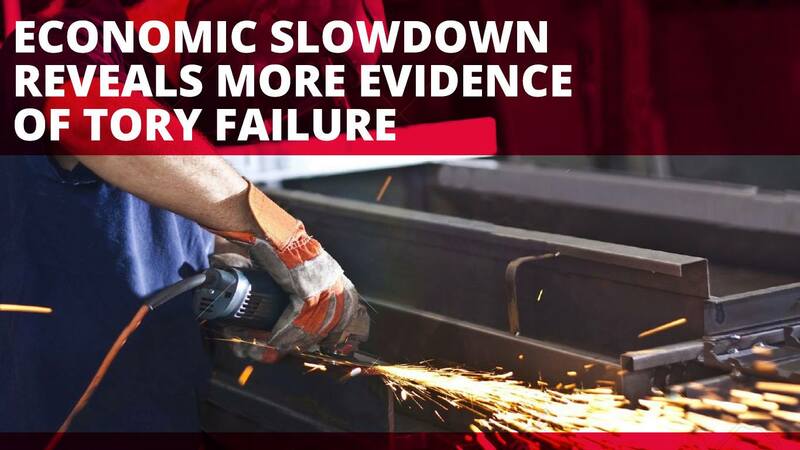 Currently, UK economic growth is running at its slowest rate since 2013. The IMF contrasted its gloomier outlook for the UK with a more positive forecast for the rest of Europe. For 2017 it upgraded growth estimates for the four biggest eurozone countries – Germany, France, Italy and Spain. “Economic growth for 2017 is a lot lower than expected for the first half of this year, with the figures confirming that the UK is now officially the slowest growing economy in the Eurozone; that’s a very real concern going forward. “Added to this data continues to pour in which shows that families up and down the country are being squeezed further as wages are not keeping up with inflation.